I sincerely hope the temperature is not too much for you this morning. I have had the fans going from first thing this morning and to be honest, I could have done with keeping one on all night. Phew, it's blooming hot around here and I'm not a happy bunny in the heat, lol! Anyway, enough of my English obsession with our weather, as the title says I have a little poser for you. If you remember when Judith announced our project for this month she had chosen a colour combo for us from the talented Rachel Jackson's article on page 76 of the May issue of Craft Stamper. Judith gave us licence to choose our own project to use this combo on so I decided to work backwards through my CS mags until I found one I thought would fit the bill. Now, when I was looking through my many stamp sets trying to decide which I was going to use on my project I realised that I had doubled up on a little set of Paper Artsy stamps so I decided to have a little friendly competition. I want to stress that you do not have to be or become a follower of our blog to enter. All you have to do is have a guess at which project I have chosen from looking at the pic below and leave your answer in a comment. The first person to guess correctly will win the set of stamps (and I might find a few other bits and pieces to put in the envelope too). As a clue so that you don't go trawling through tons of past issues I will tell you that the project is in a Craft Stamper issue from either February, March or April this year. This is the useful little set of stamps. and this is a peek at some of the stash I used to make my project. Even my buddies don't know which project I've chosen but they're not eligible, lol! I hope someone guesses correctly. Have a good Monday everyone and as always thanks for your lovely comments. oooh Lesley... you "crafty" :) thing! I'm guessing it's from the April Issue Hels Sheridan On the Cover projct. 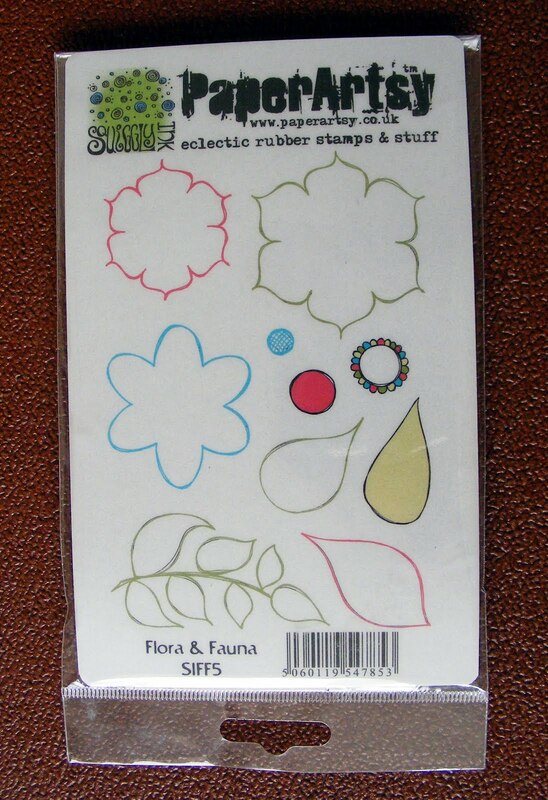 thnk you for the chance to win some lovely stamps. Well that is a poser - my best guess is 'On the Cover' wall hanging by Hels Sheridan from April 2011 issue. I don't suppose a second guess is allowed but here it is anyway Birds in the Trees by Jean Hardy from March 2011. It really is so hot today although we've had some rain.